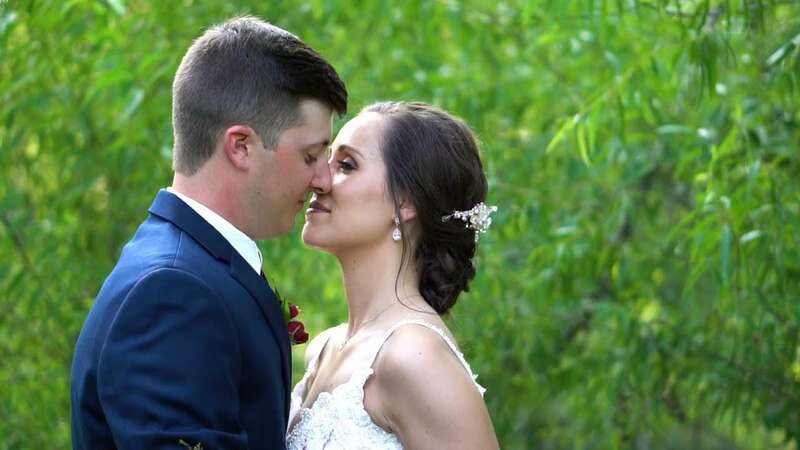 High School Sweethearts Katie and Tristan met in algebra class during their junior year. He was the new kid in town, but they got to know each other by having mutual friends. After going out on a couple of ice cream and Cardinals game dates, they officially became “boyfriend and girlfriend” June 5th, 2013. Tristan also told us a little about Katie. He says, “My favorite things about Katie is that she is a good cook, she is BEAUTIFUL inside and out, she likes Disney, she is super smart, she enjoys watching movies with me, she has a very soft heart for others in need, she spends her days not only caring for me but for complete strangers, she is going to be a great mom and that she loves me for me, even if I am giving her a hard time. A: We went on a family trip to Disney World during spring break of 2017. We had a grand total of 11 people on the trip! We went for a week and at the very end of the trip, Tristan surprised me with a carriage ride at Fort Wilderness. Little did I know, he had an entire proposal planned. Tristan and I took the carriage ride and towards the end we stopped at a little beach and we got out to explore a little. Once we reached the beach, he gave me a present to open, which ended up being a small glass slipper with the date and the quote “Happily Ever After” inscribed on it. He then got down on one knee and asked me to marry him! This proposal was special because we able to share this intimate moment just between the two of us, but able to head back to Magic Kingdom to meet our family and have a celebration at a character dinner! The rest is history. Q: Who were your favorite vendors and why did you choose them? While we were looking for vendors, we relied on Haue Valley’s advice for a lot of things! We went with most of their recommended vendors. Tristan and I like to keep things simple and easy, but we live an hour and a half away from the venue so we needed flexible vendors! Characteristics like flexibility, affordability, experience, values and recommendations all came into play when searching for vendors. Even though the first date may have been a little rough, Katie and Tristan wound up with a fairy tale romance. Thanks for sharing your story with us!